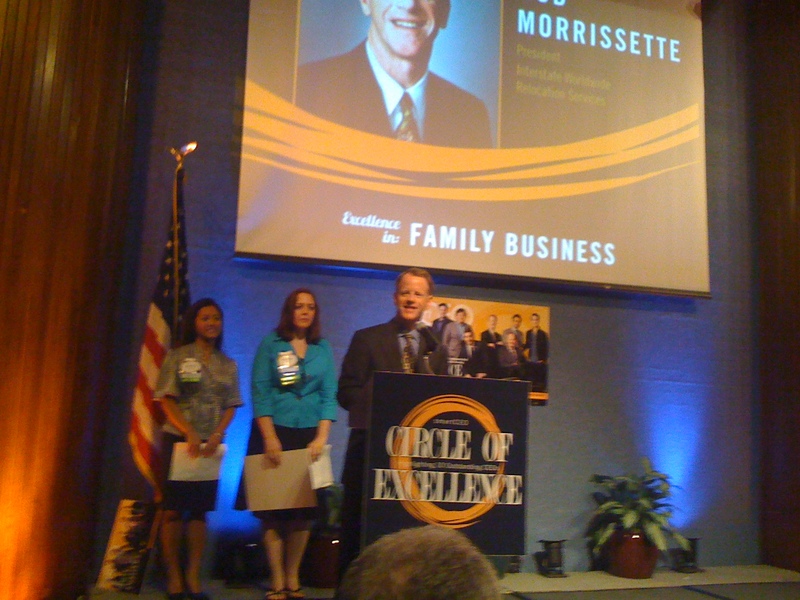 SPRINGFIELD, VA, June 15, 2011 – Interstate Worldwide Relocation Services is the proud recipient of the Circle of Excellence Award in recognition of excellence in the family business presented by SmartCEO. 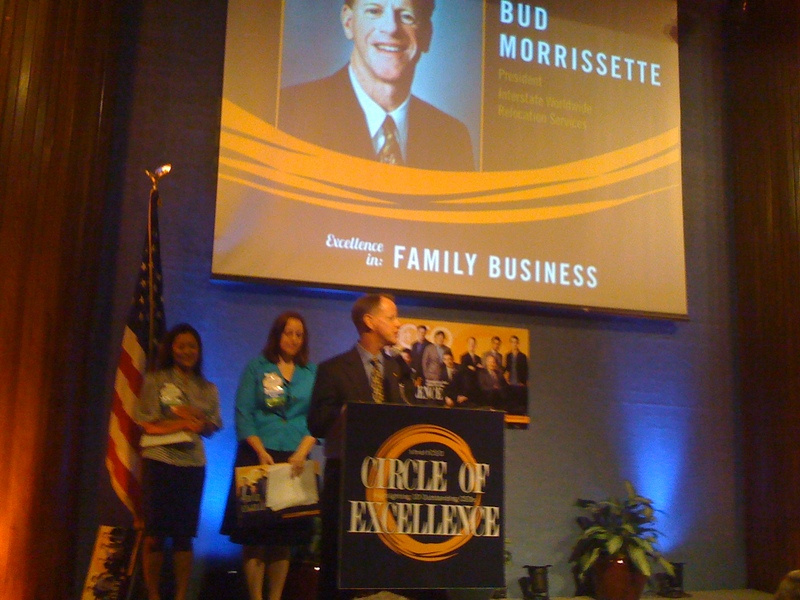 Interstate President, Bud Morrissette, was honored and accepted the award on behalf of the firms’ 300 employees and the company’s founding Morrissette family. On Tuesday, June 13, 2011, J D Morrissette, testified before a House subcommittee hearing titled “Do Not Enter: How Proposed Hours of Service Trucking Rules are a Dead End for Small Businesses.” Morrissette is President of Interstate Van Lines, a mid-sized household goods carrier and military approved transportation service provider based in Springfield, Virginia. JD has more than 20 years of experience in the specialized transportation industry. Interstate Worldwide Relocation Services honors Sales Consultant, Jim Dunn, with the Lifetime Achievement Award. Jim has been with the company for over 30 years and has brought in over $12 million in sales during his tenure. At our annual Sales Award, the Interstate family thanked Jim for his hard work and effort with a slideshow and roast. Ron Gallier, VP of Quality Control for Interstate Worldwide Relocation Services, celebrated his 80th birthday today. In celebration, the company threw him a surprise birthday party complete with cake and a giant card in the community room. Interstate, we understand that moving is a big decision within a family. It can be a very stressful time for everyone. Not only is packing a priority, but it is essential to prep your family emotionally as well. Moving with Children When moving with children, remember to keep them involved every step of the way. Sometimes children can feel as though they have no control over this change and hence play no part in the decision. Talk to them honestly and allow them to ask questions. Interstate has been making an effort to bring you the best information during this year's National Moving Month.